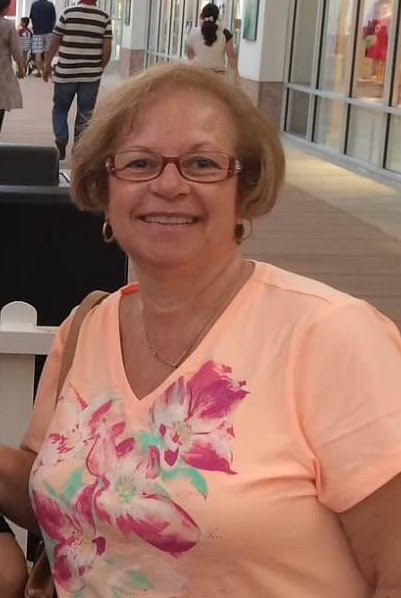 Filippa Lisciandra (nee Amore), 63, of Linden, N.J., passed away on Friday April 14, 2017, surrounded by her loving family, at Delaire nursing and rehabilitation center Linden, N.J. Relatives and friends are kindly invited to attend the funeral at the Corsentino Home For Funerals, 620 Second Avenue, corner of John Street, Elizabeth, on Thursday, April 20, 2017, at 9:15 a.m., thence to St. Anthony's R.C. Church, Elizabeth, where at 10:30 a.m. a Funeral Mass will be offered. Visitation will be at the funeral home on Wednesday from 4 to 8 p.m. Cremation will be private. Filippa was born in Ribera, Italy and came to Elizabeth, N.J., in 1960 where she resided until moving to Linden in 1993. Filippa loved her family and devoted her life to them. She enjoyed spending time with her grandchildren and watching them grow. She will be greatly missed. When you make the donation below, we will already know it is In Memory of Filippa Lisciandra and we will send an acknowledgement of your gift to the family.